Don't panic! It's organic: Be Eco-Friendly with Style! Since the immemorial roots of our humanity, we have been consuming the boons that the earth have bestowed on us. Without being told nor taught, this consumption came with sustainability. Hence, sustainability has long been co-existing with the world itself. However, due to the rapid growth of population of the people, the world's resources were devoured that the efforts of a few to save it become simply not enough. It is even more alarming as the people are not just softly killing the earth by consuming lavishly its natural resources but have also invaded and trespassed into the other creatures' abodes which should have been left untouched. The sad reality slowly unfolds before us - the earth is dying. Fortunately, with awareness and great efforts, concern individuals and various organizations have started movements towards sustainability. Sustainability is defined as the ability to consume and use resources without abusing or destroying it. It has various pillars in which the ecological aspect is just one. This includes social, spiritual, cultural and more. We can actually achieve this in our own simple ways since a lot of organizations who advocate this have made movements and devised ways for us to enjoy being eco-friendly. Bamboo is the world's largest most sustainable crop. Unlike hardwood trees, bamboo re-shoots and grows quickly - up to two feet a day. 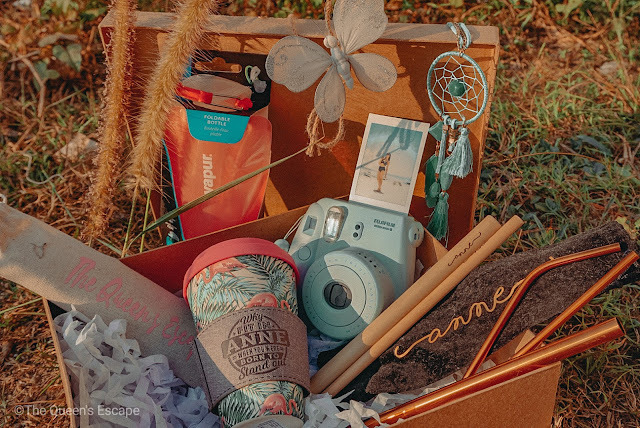 With these bamboo products, you can get to enjoy either your daily caffeine kick or the cloying sweetness of your milk tea without any guilt. Though a natural resource may be consumed in this matter, the products are reusable good for long which would then allow the growth of the resource. 1. Bamboo Eco Mug by History & Heraldry, Ltd.
You can now get to enjoy your coffee every day with this stylish and biodegradable bamboo eco-mug that is an eco-friendly cup. 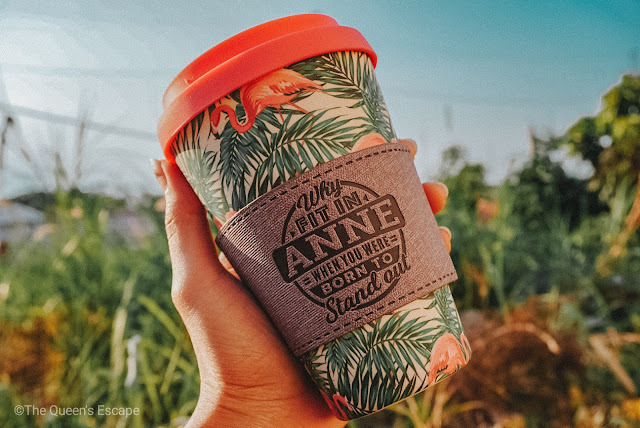 This eco-friendly cup by History and Heraldry, Ltd. company and is largely distributed in the country by Fully Booked is made from biodegradable bamboo fibres combined with corn starch and resin to bind. Using these Bamboo Eco mugs is a great way for you to avoid being part of the 500 billion disposable cups which are produced every year globally. The lid is made of rubber and the protective sleeve of synthetic leather. These may not be biodegradable but they are re-usable. When filled with hot liquid, the bamboo eco mug is advised to be used with the protective sleeve. The cool thing about the protective sleeve is that, it has quotes that can also be your mantra with your name on it. History & Heraldry, Ltd. had several names with varying quotes on it which are also available in Fully Booked McKinley branch. You can also order from e-Bay. As aforementioned, sustain-ability has different pillars. By using these reusable bamboo straws, we are already hitting two pillars at a time - the ecological and social. It's ecological in a sense that, we are reducing the use of single-use plastic straws. We all know for a fact that plastics are not eco-friendly and it is quite a threat to various terrestrial and marine life forms. On the other hand, it's taps the social pillar in a way that buying such also shows support to the locals, Aetas in Zambales particularly, who make a living out of it. 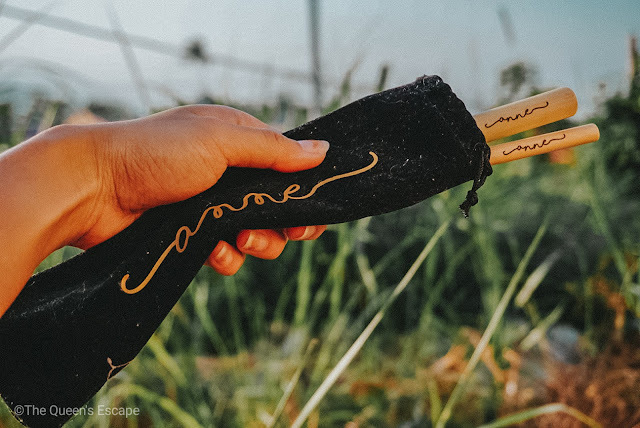 These bamboo straws from Anything Eco are considered local products crafted by Aetas themselves. 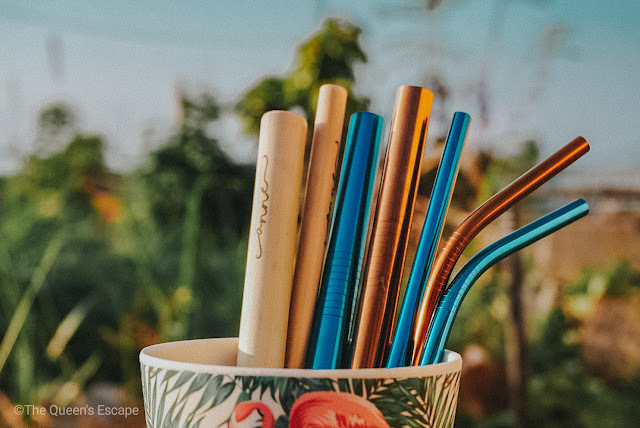 Apart from Bamboo straws, the shop also offers metal straws and other stuff that will help you achieve eco-friendliness. You can also carry it with you in style as it comes with a personalized pouch and brush. These straws can simply be washed as it comes with its own straw brush. BPA is a synthetic compound found in products made of plastic. Various studies have proven its effect to one's health. Thus, it is advisable to use BPA free containers in storing food or liquid for consumption. I personally love Vapur foldable bottles because they really are handy! When not in use, I just simply fold mine and tuck this space-saving water bottle in my bag. Shall there be any water source, I just can simply unfold it and refill. When filled with water, I can just hang it on my bag. I also need not to worry about drinking from any plastic containers and its long term side effects to my health as Vapur is BPA-free one. 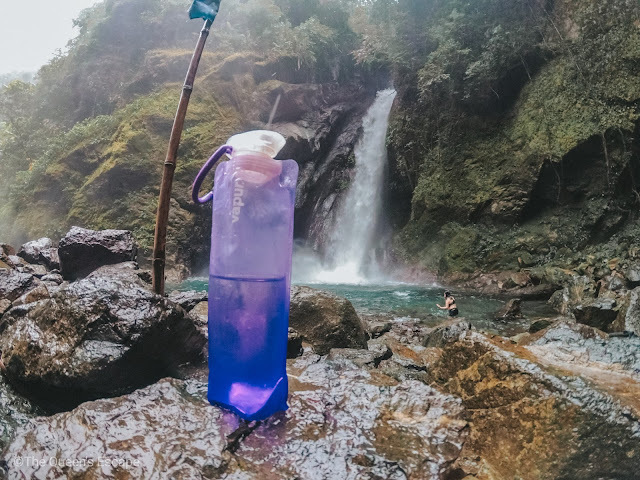 The good thing about carrying with you a reusable bottle is that, the chances and tendencies of buying bottle waters is lessen. 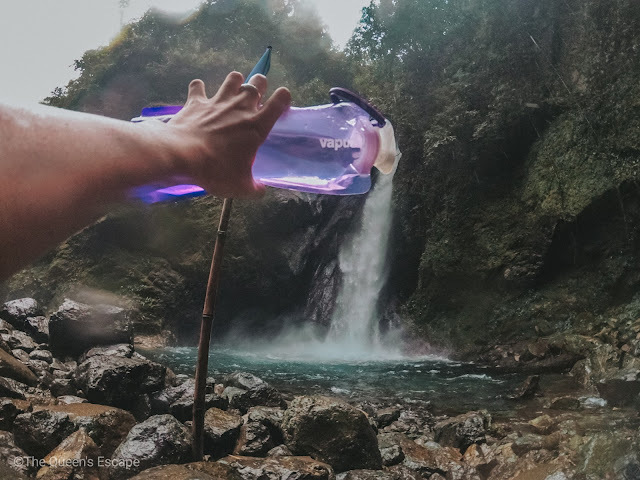 You can get your own Vapur foldable bottle here. Well, apart from these, there are also some little ways that I practice most especially when I go to places towards sustainability. These also include taking eco-bags to the market and grocery, simply keeping the trash in my bag or pocket til I find a bin, reducing waste, my Beach Clean Ups and Clean up Dives and more! I also encourage the people around me to do it. These are just simple and small but then, if practiced by a lot, imagine how much impact does it have to the earth. There actually are million ways out there that I was not able to mention. How about you? What are yours?